Receiving a bouquet of cut flowers from a loved one is such a lovely feeling – no matter how old you get. 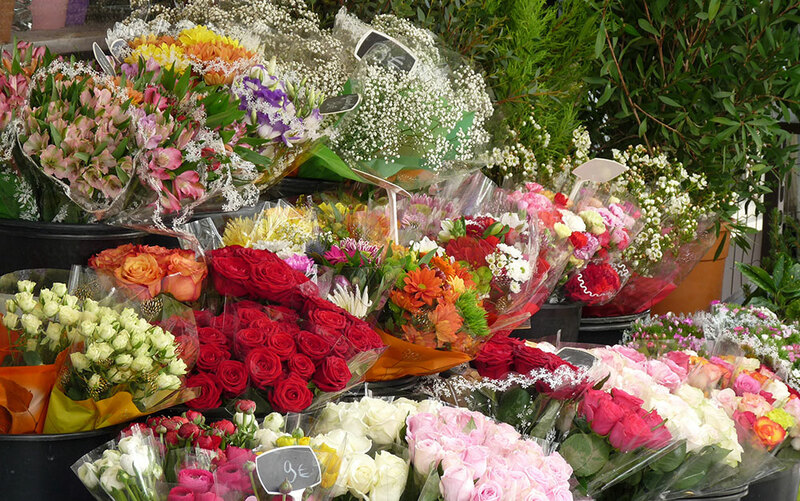 Florists everywhere will soon be opening their doors and putting out beautiful displays of vivid colour and fragrance, and it’s a wonderful sight to behold after a long, dark January. Unfortunately, many people don’t know how to care for their cut flowers properly and it’s a real shame to see them wilt and die quicker than they should do. To help you, I’ve put together a few straightforward tips for caring for your cut flowers, that will ensure they stay fresh and beautiful for as long as possible. 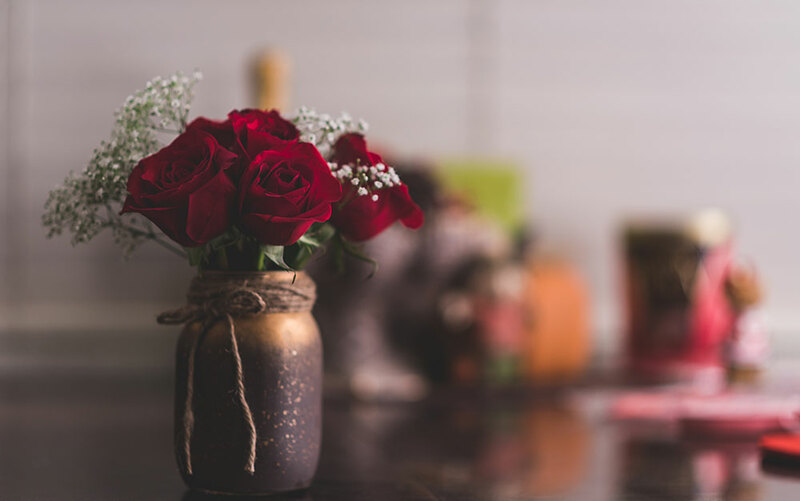 Firstly, don’t forget that cut flowers have been removed from the plant that was their life support, so the most important thing is to get them into water as soon as possible. Remove the plastic and cellophane wrapping straightaway, as this will cause the leaves to sweat and start to wilt. If you’re cutting flowers from your own garden, then take them in the morning. This is when water reserves in the stem are highest, after a cooler night. Preparing the plants before they go in the vase is crucial to maintaining healthy and happy cut flowers. Clean the stems first because any residual dirt will make the water go slimy. Remove the lower leaves and any visibly wilted leaves – this prevents the foliage rotting in the water. 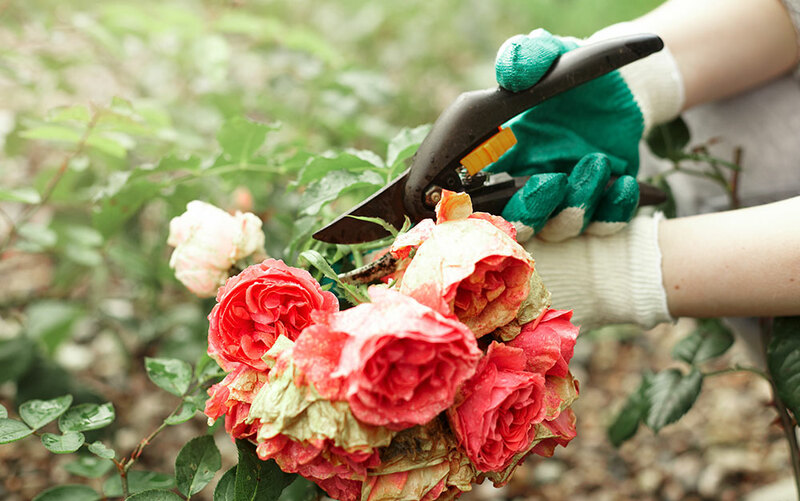 Trim the stems by at least two centimetres. 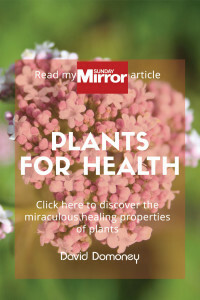 Cells begin to grow over the end of flower stems when they are cut from the plant aiming to seal the cut which prevents water from going up the stem. Trimming off the end removes this problem. Cutting the stems at a 45-degree angle will also help to keep the stem as open as possible. Some people say that cutting with scissors crushes the tip of the stem and to use a sharp knife instead. 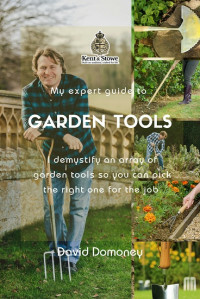 But scissors or garden secateurs are best for woody stems. 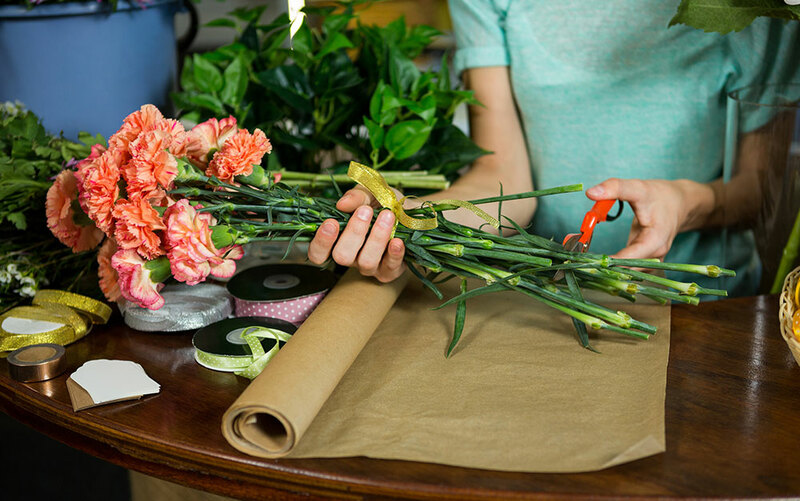 Preparing your vase requires just as much care and attention as preparing your flowers. Always, always use a clean vase! 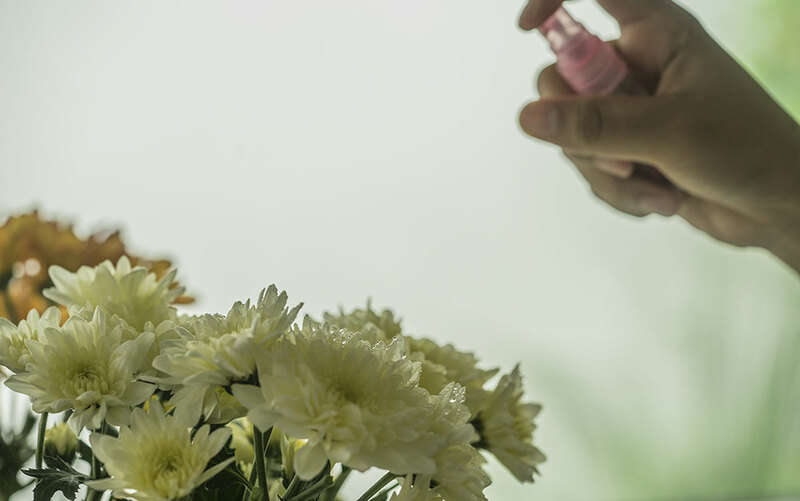 Bacteria in dirty vases will make the water murky and cause the flowers to rot. Fill the vase with warm tap water rather than cold, then add the flower food. Sugar works just as well, if your flowers didn’t come with food. Commercial flower food increases the acidity of the water to prevent bacteria growing but you can mimic the effects with a few drops of lemon juice or white wine vinegar. Many people recommend using lemonade for both sugar and acidity (make sure you don’t use sugar free or diet versions). Aim for a mix of one-part lemonade to two parts water. There is also plenty of advice about adding bleach to keep the water clean and prevent the stems rotting. It does seem to work, but if you want to do this, only add a tiny amount (a few drops) or you will do more harm than good. Vodka is sometimes added to vase water too. Some people think it prevents algae growth, but studies suggest it slows the production of ethylene, a ripening gas that flowers emit. Again, use no more than a few drops if you want to try this. 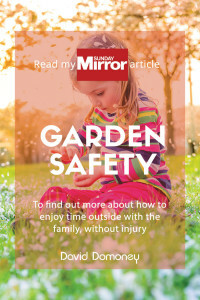 Finally, if you are using a zinc bucket or vase for your cut flowers – don’t add bleach or anything similar as it will cause a reaction with the metal that can damage your flowers. 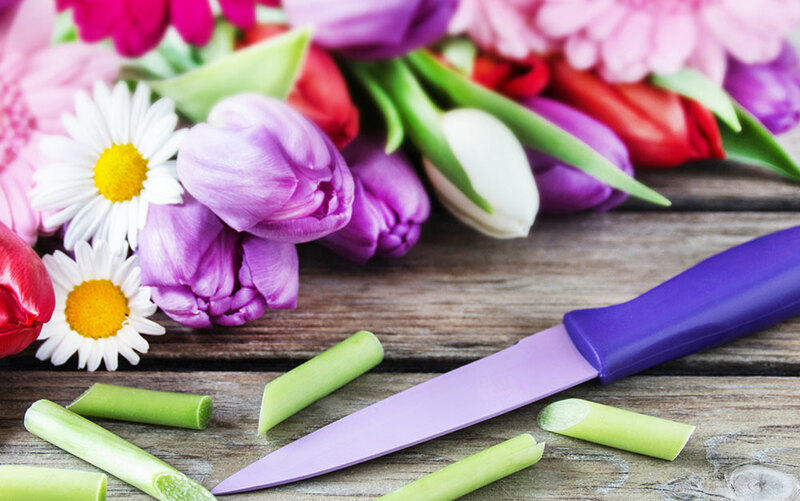 Looking after your cut flowers is so easy, and you only need to remember a few simple tasks to keep them looking great. 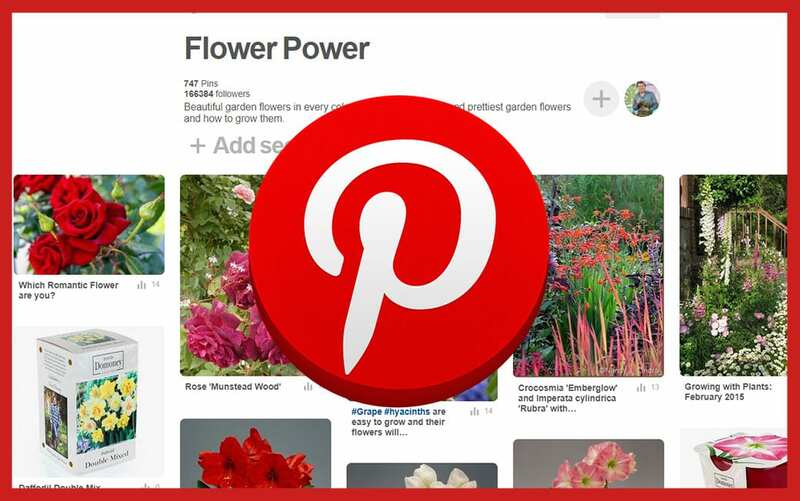 Keep flowers in a cool part of the room away from direct sunlight. Heat will dry out petals and wilt flowers. 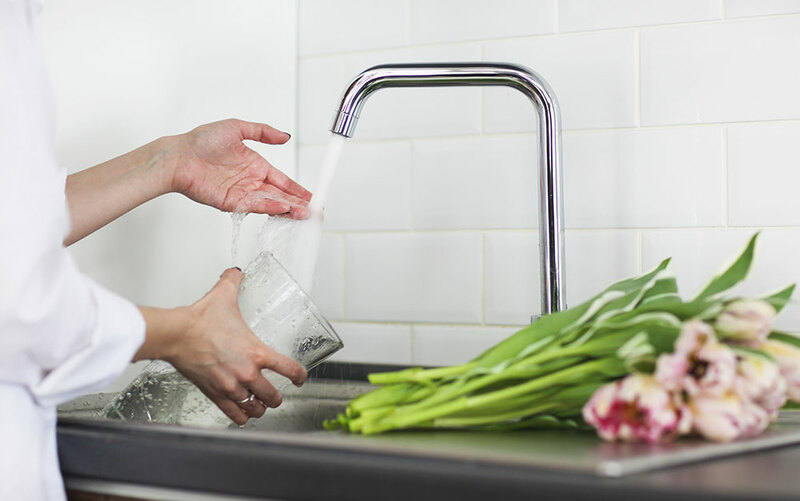 Change the water regularly to stop it becoming dirty or green and clean out the vase with hot, soapy water and fill it with fresh water. 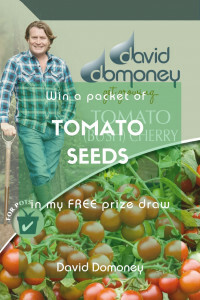 Some plant food packets suggest simply topping up the water, but I find it’s better to replace it. This is especially important if the water starts to go grey or green. Some flower varieties need fresh water every day or every other day. Always add more plant food when you change the water. You can trim the stems a little too to keep them open. Remove any flowers that wilt, rather than leaving them in the vase. They release the ripening gas ethylene which may cause the other flowers to wilt prematurely. Flowers with hollow stems like tulips sometimes flop over. They bend because an air bubble gets trapped in the stem. Release it by pushing a pin through the stem at the top and they should stand up straight again. You can also mist your cut flowers regularly to keep them looking extra fresh. Just put water into a spray bottle and give petals and leaves the once over. 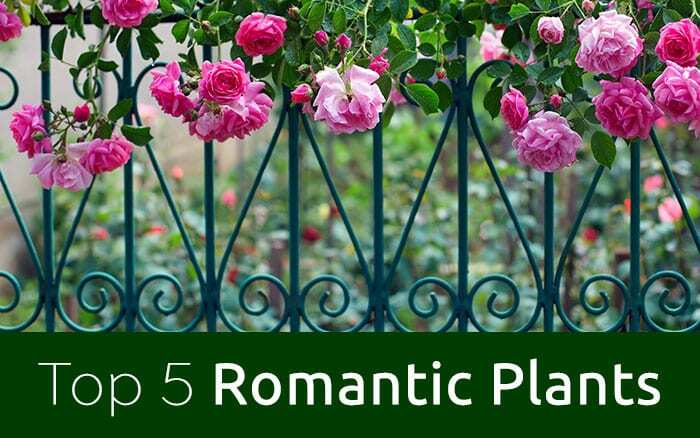 For really long-lasting blooms, try carnations, alstroemeria and chrysanthemums. Most importantly, don’t forget to enjoy your cut flowers! Their fleeting yet fabulous beauty is something that should be appreciated and will make your house look and smell amazing. Thank you. I followed this advice and it was really useful.